I think the comparison is the wrong way around. 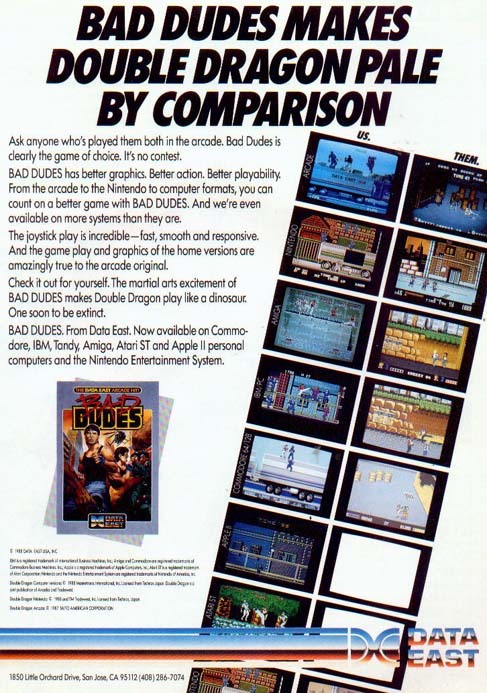 Bad Dudes was a somewhat popular Data East beat ’em up that’s better known for the quote “Are you a bad enough dude to rescue the President?” (or President Ronnie in the arcade version) than its actual gameplay. 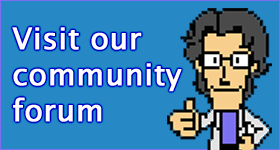 This ad is for the NES port, which was rather watered down due to the difference in hardware power. Never heard of this one but I had my share of Double Dragon on Amiga. Will definitely try to get my hands on this one!